These are fur seals, not sea lions. 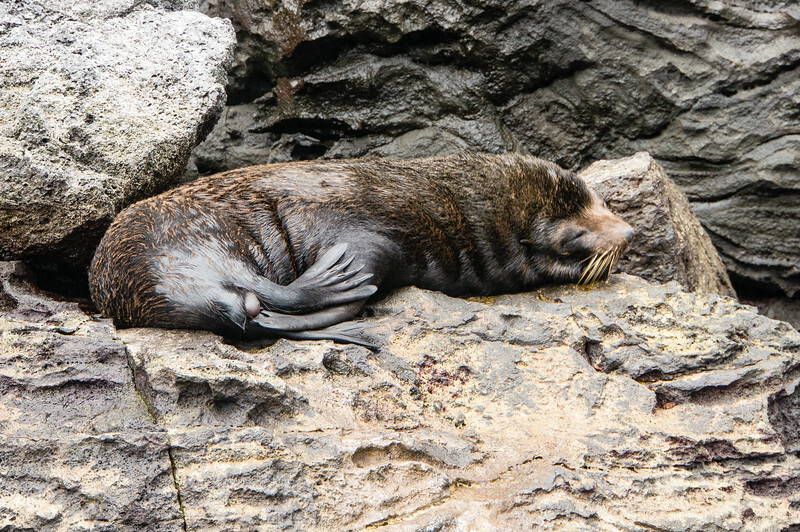 Both species are seen in the Galapagos, although the fur seals were much less common during our trip. These fur seals were spotted on the rocks around Darwin Bay of Genevosa Island in the Galapagos.